Welcome to Place Campbell. For over 60 years we have provided accountancy advice and guidance to barristers and their chambers and we continue to be committed to providing our clients with the highest level of service. Our aim is to take away the strain and burden of taxation and accountancy, allowing you to concentrate on the demands of your practice. Our experience in dealing with the financial affairs of barristers means we understand the importance of providing our clients with an ongoing service that supports them throughout their professional life. Many clients still work with the same person at Place Campbell that they first met as a pupil. This continuity provides us with an ongoing and comprehensive knowledge of our client’s financial affairs, enabling us to provide advice that is both relevant and proactive. Providing accounting services to so many chambers across the country gives us the experience to provide support that is appropriate and forward thinking. Understanding the accounting systems of chambers means we are best placed to interpret the financial interaction between chambers and the individual barrister. 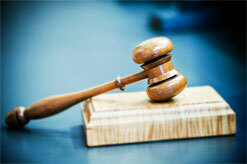 Being the Bar specialists, we have an unrivaled level of expertise in the accounting needs and taxation of the Bar. We continue to work closely with the Bar Council, as they look to develop new business structures to enable the Bar to respond to competitive pressure. In fact in October 2009, because of our specialist knowledge of the Bar, we were appointed a Service Partner by the Bar Council.